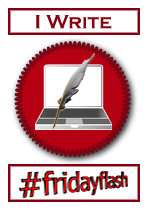 Posted by techtigger in flash fiction. Following an armed stranger into a hidden room was probably not one of the brightest things Morvrain had ever done. Every instinct was telling him not to trust this man – but then, his instincts had told him to kill him without trial or proof of guilt. He couldn’t trust them either. Morvrain shook his head. The only way to find out which of them to believe was to play along with ‘Grimm,’ until he showed his true colors. He would not let his men take such a risk however. He motioned them to take up positions outside, with one holding the door open, and cautiously followed the knight into the musty, ancient guard chamber. The room itself was something of a marvel. It was lit by cunningly placed mirrors that reflected daylight in through narrow channels in the thick stone walls. They also allowed the occupants to view the area in front of the main entry doors without being seen. Clean, cool air without a hint of the rain outside circulated through the chambers, keeping the obviously antique furniture from being covered with dust. Racks of weapons, as brightly polished and sharp as the day they were set aside covered one wall, and a doorway led to a barracks room with neatly made beds. Personal effects from their former occupants were scattered about, in various states of decay. One still had a book sitting open on it, with a ribbon down the spine to mark where the reader left off. The energy from the ancient stones still flowed into Morvrain, helping stave off the urge to renew combat. But a part of him screamed that ‘Grimm’ was lying by omission about his true name, and to lie to a Truthfinder meant death. Nothing else he said mattered. Even as the thought crossed his mind, his hand twitched down toward his blade. Morvrain drew his own sword. “Malach would rather be dead than this.” Behind him, he heard Grimm yell, “NO!” but he had already gone on the attack. Every other time they had sparred, Morvrain came out the better. But not this time. Malach seemed to have gained a skill far beyond his years, his blade dancing around Morvrain’s defences. There was no room to retreat, no space for the knight to fight beside him. He heard the knight start chanting and the air moving through the room picked up speed. Malach’s eyes narrowed. “A good try, Grimmalkyn, but too late.” His sword flashed out, and suddenly Morvrain was on the floor. A dark pool spread out from his midriff, which burned and felt cold all at once. The rain swept down the city streets in waves like heavy grey curtains. The summer heat had finally broken in violent storms that buried the cobblestones in ankle-deep water, and thunder made hollow echoes in the alleyways. A lone figure made its way toward the ancient Convocation Hall, wrapped in a heavy cloak with a deeply cowled hood. Truthfinder Morvrain watched his quarry from the shadows of a side alley, sizing up his opponent. The target was almost certainly a man, tall, broad shouldered, and by the way he moved he wore armor beneath the cloak. The rain seemed to bend around him as if he were the prow of a ship, leaving his cloak completely dry. Morvrain held his breath as the man passed his hiding place. He paused for half a heartbeat, head tilted slightly as if listening, but there was no way he could hear anything over the drumming sound of the rain. Was there? Thankfully he kept going, and Morvrain exhaled slowly in relief. Then he waited until he was sure his target had gone far enough ahead before following. Someone had begun to tamper with the wardstone that guarded the entrance to the central meeting chamber. He’d interrupted their work by accident last time, as he patrolled the marble halls on another rainy, windswept day. They’d gotten away then but he knew if he was patient, they would come back to finish the job. They always came back to the scene of the crime, a fact that never ceased to amaze him, if only because it seemed so foolish. The man strode quickly across the street in front of the Hall and took the stairs two at a time. He stopped before the massive carved oak doors and studied the frame around them for a moment, before touching a worn carving of a windflower. The doors swung open without a sound, and the darkness inside swallowed him up. Morvrain signaled to two of his own men who were also waiting in side alleys to follow him in. He stopped for a second at the entrance, and for the first time ever he noticed the hint of weathered, old casting marks on the carvings. They faded away as he watched, answering the question of how he had missed them before. The cloaked man knelt before the stone – though in reality it was more a pillar, thirty feet of granite rising up to a rough-hewn capstone at the roof. It was covered with casting marks that twined around its length, mixed in with the symbols for each of the Elemental Houses. Morvrain strained his eyes through the darkness to see what symbol lit up as his quarry touched the stone, but it was hidden by the cloak. Only a breath of air stirred, sighing through the empty halls. All five Truthfinders moved forward as one, drawing in energy from their own element of Stone to muffle their footsteps on the cold marble. Morvrain gripped the hilt of his sword, feeling the enchantments forged into it thrumming beneath his hand. He waited to draw it though, not wanting its glow to give him away. Their circle tightened, and his heart pounded with equal parts adrenaline and anger as he moved into place. With a roar he drew his sword in a blinding flash of light, and attacked. The man should have had no chance to defend himself but somehow he whirled around, faster than anyone his size had a right to move. He caught Morvrain’s blade on his own, sidestepped, ducked beneath a second sword thrust and neatly disentangling his own blade while shoving one of Morvrain’s men into a third with his free hand. He continued the movement, never stopping, the heavy broadsword he wielded whistling through the air as quick as a willow switch. Two more blades clanged together, and the light on one went out as it flew from its owner’s hand. The sword their opponent held had no light at all. If anything, it seemed to swallow it up. “Liar!” Morvrain snarled, trying to maneuver his opponent into the path of the other Truthfinders. A pulse of warm, soothing energy ran up through Morvrain’s palm, and he looked at the softly glowing light that ran along the sword’s edge. It was clear and steady. The stack of papers in front of Nox wasn’t getting any smaller. She stifled a sigh, dipped a quill into the inkwell and blotted the nib so that it wouldn’t dribble. She’d had an idea for a writing implement with a reservoir built in, but like so many of her plans it had been shelved away. A few months ago she was exploring the ruins of the House of Winds. Now, she was the ruler of the House of Ice and until her father returned home she was bound by duty to see that their territory was run smoothly. “Your great-great-great-grandmother Nadine’s quarters,” he said, beaming. “You remember it then!” he said. “Damn, I was sure this would work.” Nox looked over the calculations again, her lips pursed together. “Then how do you explain all the other explosions?” Grimm grumbled. Nox ignored him. She was too busy taking apart his example, and replacing it with her own Air casting. She let out a series of whistles, each one a different pitch to match the mixed tones he had made in his bark. “You should do those together,” he said. “Show me how later,” Nox replied. The ice was spreading rapidly, covering the floor in delicate frost patterns before solidifying. She let out one last whistle and clapped her hands. The furniture shook as ice built up beneath them in, forming a slope. They rattled up higher, started to tilt, then shot down the ice ramps. They slid out through the doors on a trail of ice that constantly spread out before them. The air casting followed, eating away at the remains of Nox’s little ice road and whirled just ahead as well to guide the ice around corners. Nox let out a whoop and skated it after it, whizzing past the slack-jawed mansion staff that had come out to see what the commotion was. Nox raced ahead, almost close enough to touch the ottoman that was bringing up the rear. “OPEN THE STORAGE ROOM DOORS!” she bellowed. A serving maid ran to comply, and yanked them clear a bare moment before the furniture slid past. Nox grinned and waved as she went by, and then sang out a long, clear note. The Air casting roared in response, and ate away at the remains of the Ice casting, spending all its energy on the task. Nox glided to a halt and picked up the last small piece of Ice just in time for it to collapse on itself with a tiny piff of cold air. Posted by techtigger in Reviews. I’ll be looking at what worked and what didn’t in both media, and discussing things that writers can learn from them both. The first one went live today – I’ve dug up a classic, Edgar Rice Burrough’s Mars series, which recently got made into the movie John Carter. Stop by FFDO and chime in, I’d love to hear what you thought of them both! Penny Dreadful Press – It Lives! Nox and Grimm: Oh Brother, Where Art Thou? Nox and Grimm at The Penny Dreadful!